There are more than a few companies around that work to hook up bloggers with ad revenue sources. In fact, some of these companies work specifically with women or stay-at-home moms. We've complied a list of these companies to help you earn some cash on the side. Making money as a blogger is not the get-rich-quick scheme that some people might assume. In fact, blogging takes a lot of time and effort and the amount of money earned per hour spent may be incredibly low for quite a while before the hard work begins to pay off. Most bloggers earn the majority of their income from ads running on their website such as Google AdSense, but there are also many other paid blogging opportunities that can help increase the amount of revenue earned from blogging. Those with a decent amount of traffic on an established blog should check with the companies below for paid opportunities. Sverve connects brands with influencers for paid campaigns. These are often campaigns conducted through your social media channels that you have built up your influence with through with your blog. Mom Affiliate connects mom bloggers with mom-appropriate brands that you can partner with in a variety of ways. Massive Sway is a somewhat recent partnership between The Sway Group and The SITS Girls, which resulted in an incredible portal that can earn you and your blog more money. Clever Girls Collective is another great way for bloggers to connect with brands. You must apply to become a member of the Clever Girls Collective. Use your influence online to help brands you love reach their target audience while also earning money through TapInfluence. 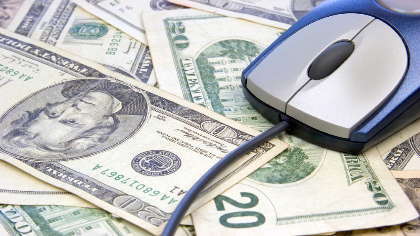 Linqia offers a pay-per-click compensation for their blogging campaigns. The more traffic you get to your site, the more money you have the potential to earn. Cooperatize is another way for brands and businesses to connect to publishers and offers paid sponsored post campaigns for bloggers to choose from. BlogHer, known as a community and media company for and about bloggers, also works with companies to offer bloggers several different types of paid campaigns. Facebook, Instagram, Twitter, and Pinterest campaigns are amongst the ways that influencers can earn money. Mom Spark Media members gain access to paid opportunities such as at-home parties, sponsored posts, and ambassador programs. Mom-It-Forward, well known for their "Girls Night Out" Twitter Parties, also offers bloggers that are part of their network access to paid blogger campaigns via weekly emails. The Business2Blogger website hosts a job board where bloggers can peruse paid opportunities from businesses looking to work with bloggers. The Collective Bias Influencer community accepts well established bloggers to be part of their constant relationship building with brands and businesses. While none of these companies individually can earn you and your blog a great deal of money, combining multiple streams of income can build your blog into a highly monetized business.